Crestron Mercury meeting room collaboration solution for rg+p. rg+p formed in 1979 and have since established themselves as one of the largest and most successful multidisciplinary architectural design, project management and quantity surveying practices in the Midlands. In 2017, when rg+p was looking to relocate their Leicestershire office, they sought out the expertise of workplace design and fit out specialists, Blueprint Interiors, a key partner of Cinos. 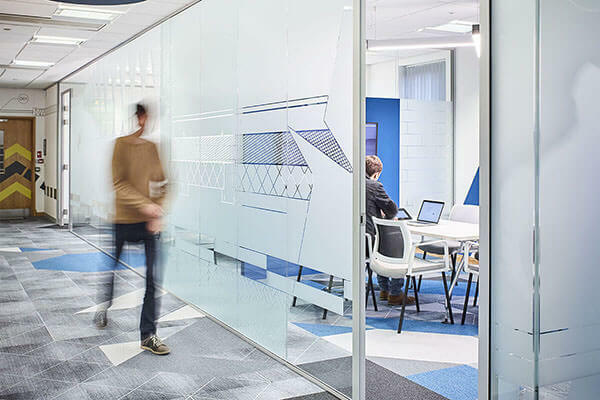 Founded in 2001, Blueprint offer a unique approach to refurbishment projects, tailoring every feature to support their client’s activities and brands. By listening to their client’s objectives, Blueprint transform workplaces into a valuable asset where employees can work smarter and faster. As well as taking on the refurbishment project, rg+p asked Blueprint to provide recommendations on the best suited technology for key areas in the new office. With an established partnership in place, Blueprint invited Cinos to meet with rg+p to understand the key objectives of their meeting spaces and provide insights on the best suited technologies for these areas. The space we have created here with Blueprint and Cinos is all about our future. We are looking long term at how the business is shaped, and the biggest challenge for us is to work together and collaborate better. Until the office move, rg+p had primarily collaborated using paper based products such as flip charts. The move to the new office signalled an end to this trend with rg+p looking to transition into the digital workplace. However, due to their late adoption and lack of market knowledge, they needed the expertise and experience of Cinos to advise on what technology would work well in their new spaces. The new office had some key areas where rg+p wanted technology to replace the flip charts and notebooks which they had been using for so long. A 15-20-person auditorium style area would be used for team briefings and group collaboration on architectural designs and schematics. Historically this area would have utilised basic tools such as pen, paper and flip charts. However, it was immediately obvious that a large format interactive screen would significantly improve and streamline the collaborative process. In addition to the auditorium, there were five further meeting spaces; a boardroom, a main meeting room and three smaller breakout areas designed for one-on-one meetings. 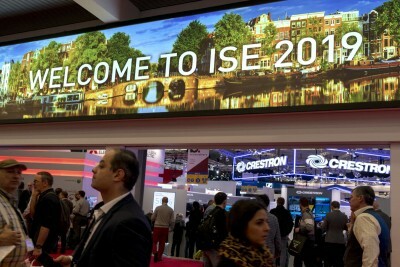 To work more effectively in teams, and to connect with dispersed third parties, it was agreed a combination of collaboration, conferencing and display technologies would be required. 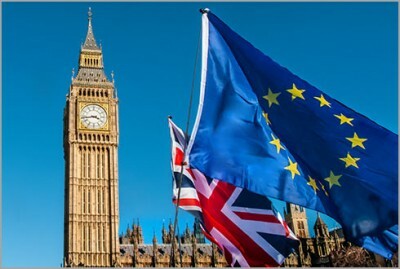 To ensure a smooth transition into the digital workplace and encourage a company-wide adoption, the employed technology needed to be easy-to-use and require minimal user training. Keeping visitors and employees up to date with the latest company news was of great importance to rg+p. Whilst there are several ways to achieve this, it was decided company updates and information would be delivered courtesy of displays in reception and the canteen. Therefore, Cinos proposed various digital signage options, prioritising easy-to-use systems to ease rg+p’s administrative burden. The desire to move away from paper based collaboration products led to in-depth discussions on the wide range of content sharing, conferencing and collaboration technologies available. 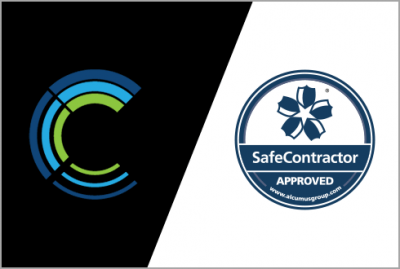 As rg+p was moving into the digital workplace it was important to provide easy-to-use products which still delivered the sophisticated level of collaboration expected for enterprise businesses. 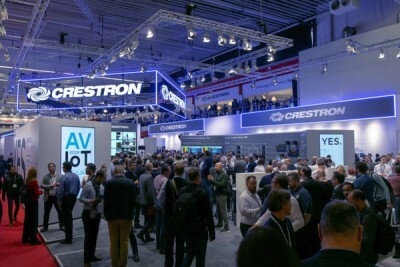 After evaluating a range of technology options, it was agreed that Crestron Mercury would be the core product used in the various meeting spaces. As well as being simple and intuitive to use, Mercury combines all the must-have conferencing and collaboration tools into one device. The main meeting room would see the most footfall, especially when teams need to connect with remote workers, partners and clients. To accommodate these requirements, Cinos installed the video version of Mercury, complimented by a 55inch LG display. The impact of this space on rg+p has been absolutely huge. It’s so different, completely different. Someone described it to me after the first day here as ‘a bit like starting a new job but with everyone you know. Like many organisations, rg+p use Skype for Business as their preferred conferencing platform. Whilst Mercury has been configured to deliver a native Skype for Business experience, it’s also the only room solution to support any video conferencing service. 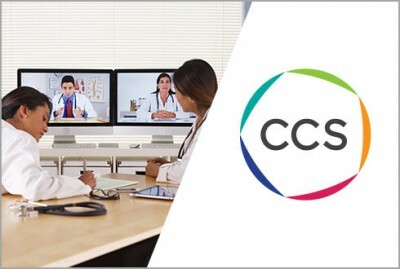 Should a partner or client be using a different system such as WebEx or GotoMeeting, employees can connect their laptop to Mercury and enjoy a seamless video conference. The three breakout areas are smaller spaces for one-on-one meetings or individual conference calls. 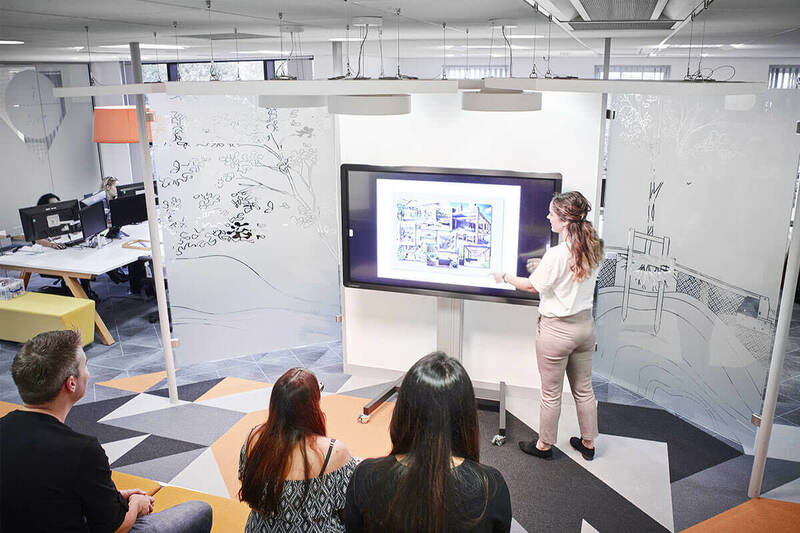 Due to space restrictions in these areas initiating a video conference was not realistic and so each area utilises the audio version of Crestron Mercury with a 32inch LG display for local desktop sharing and collaboration. As a full SIP conference phone, employees can enjoy crystal clear audio conferences in the breakout areas thanks to Mercury’s excellent microphone and speaker quality. Furthermore, and to cover all eventualities, Bluetooth enabled phones can be paired with Mercury; turning employee smartphones into a room conferencing system. Away from conferencing, Mercury offers several additional features to ensure the perfect meeting experience, whether that is in the main meeting room or in the smaller breakout areas. With built-in Crestron AirMedia, employees can wirelessly present documents, files and videos from their laptop or smartphone on the meeting room screen; eliminating the need for additional cables and meeting room clutter. Further integration with the rg+p email system allows employees to view availability and book meeting rooms from the 7inch Mercury touch screen. To complete the move away from flip charts, a 65inch Clevertouch Pro Series display was added to the auditorium. Designed to enable true collaboration, the Clevertouch display makes collaborating on architectural designs and schematics simple, fast and effective. Teams can view and share documents in 4K ultra high definition, and thanks to the display’s 20-point touch feature, work simultaneously onscreen. 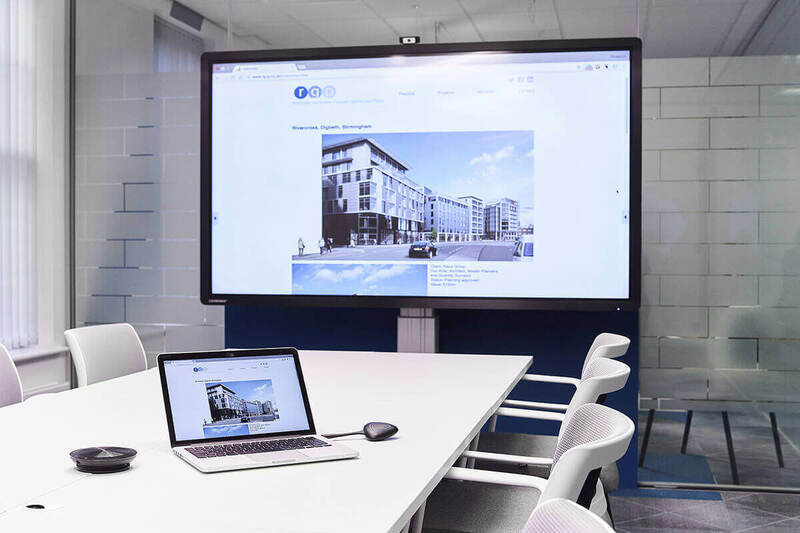 A second 85inch Clevertouch display was added to the boardroom to facilitate meeting activities and ensure a consistent experience across the new office. 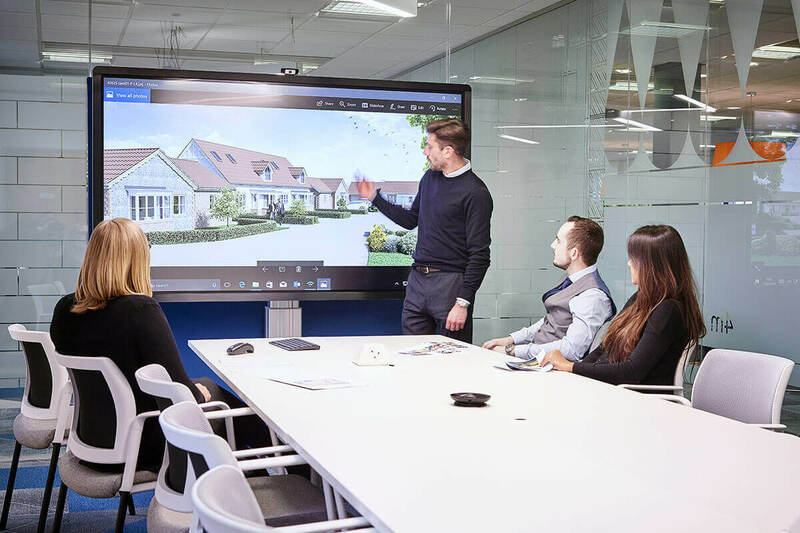 As well as utilising the 20-point touch feature, the Clevertouch display ensures connecting laptops, tablets and smartphones to collaborate onscreen is quick and simple. Connecting the Clevershare USB button or enabling the Clevershare app allows employees to share content on with the ability to control the input onscreen, using their fingers or the Clevertouch pen. To welcome guests and keep employees up to date on latest company news, a Sedao digital signage solution with 55inch LG displays were installed in the reception and canteen. This simple to use system allows administrators to login to their online SedaoLive account, update templates and publish with ease. As a full featured multi-zoned digital signage platform, the SedaoLive-Pico media player enables different content to be displayed in each area; perfect for displaying welcome messages in reception, and more informal company news in the canteen. Digital products such as the Clevertouch display minimise the amount of paper used and wasted. 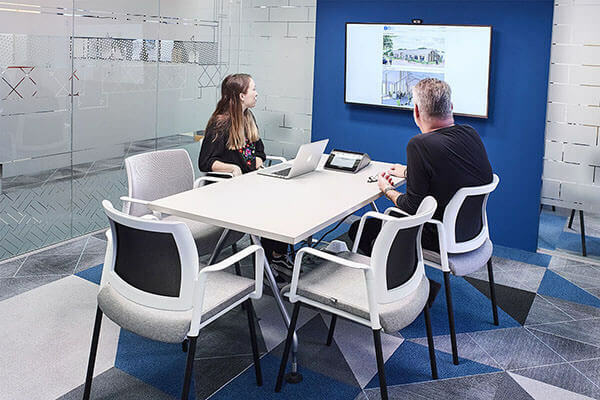 Crestron Mercury supports any video conferencing service enabling employees to conduct more meetings from the office, rather than travelling to client or partner sites. Crestron Mercury detects room occupancy, allowing rg+p to automate the system to power down to save energy when all parties leave. Employees easily can connect with remote teams and partners via video or audio conferences thanks to the Crestron Mercury units installed across the office. 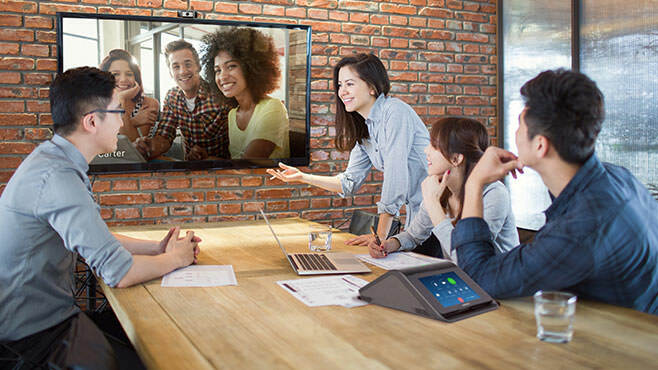 Wirelessly sharing content on the meeting room screen is easy thanks to the built in Crestron AirMedia gateway in Mercury, or via the Clevershare button or app in the Pro Series displays. The 20-point touch feature on the Clevertouch displays enable true team collaboration. 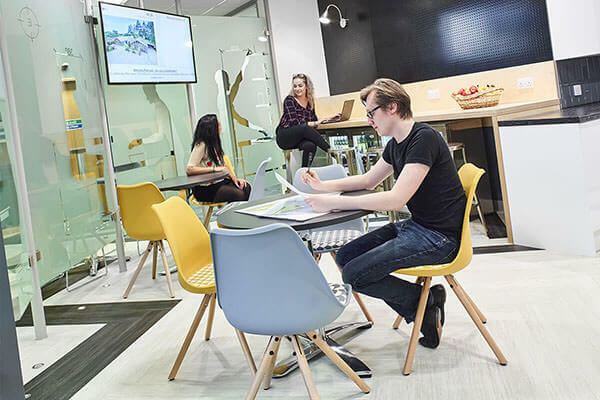 Employees can work on architectural designs and schematics simultaneously whether that is through one of the in-built apps or by connecting a laptop and working from the display. There is no doubt the work Blueprint and Cinos have done for rg+p has significantly enhanced their working practices. As a company who thrives on working together, moving from a Victorian style villa to an open plan office has delivered a whole host of benefits. Teams can work together more freely and the technology in place has encouraged better working practices; enabling employees to collaborate smarter and faster. 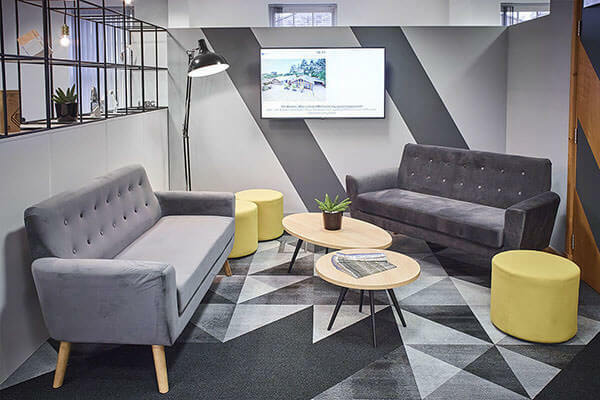 We are delighted to have worked on this project with Blueprint Interiors and it is great to see the positive impact it has had on all employees. Meeting with rg+p prior to the office move provided Cinos with a key insight into rg+p’s working practices and their vision for the new office. We were able to truly understand their objectives from the outset, and as a late adopter to the digital workplace, provide recommendations on how technology could significantly enhance their operations. 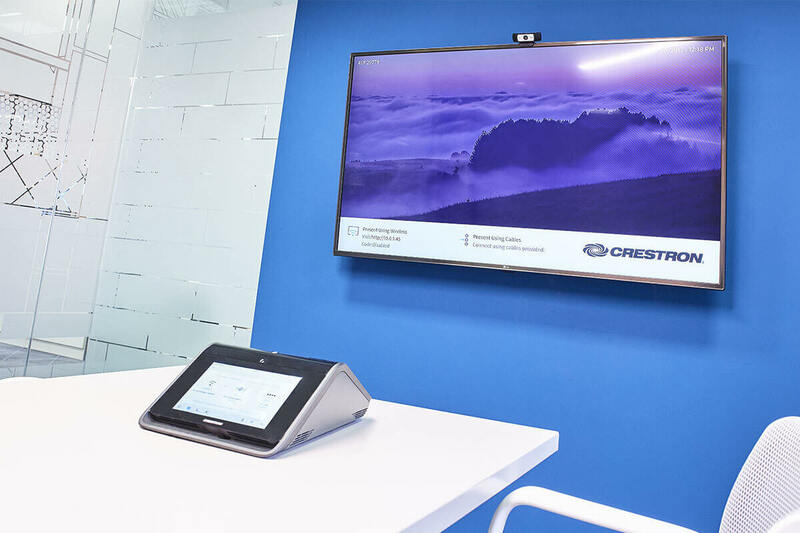 If you are looking to enhance the collaborative capabilities of your small meeting rooms and huddle spaces, then look no further than Crestron Mercury.